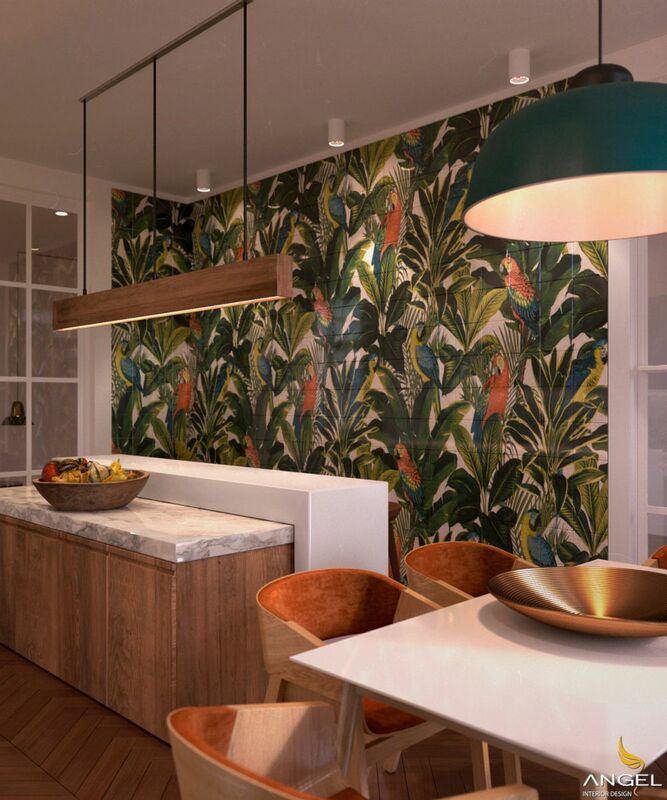 Tropical style interior design is still very hot trend today. Using it to recreate a season of the year is not difficult either. Here we will see the design of the spring - cool cool. Almost the apartment will be very exotic in the appeal of this design. 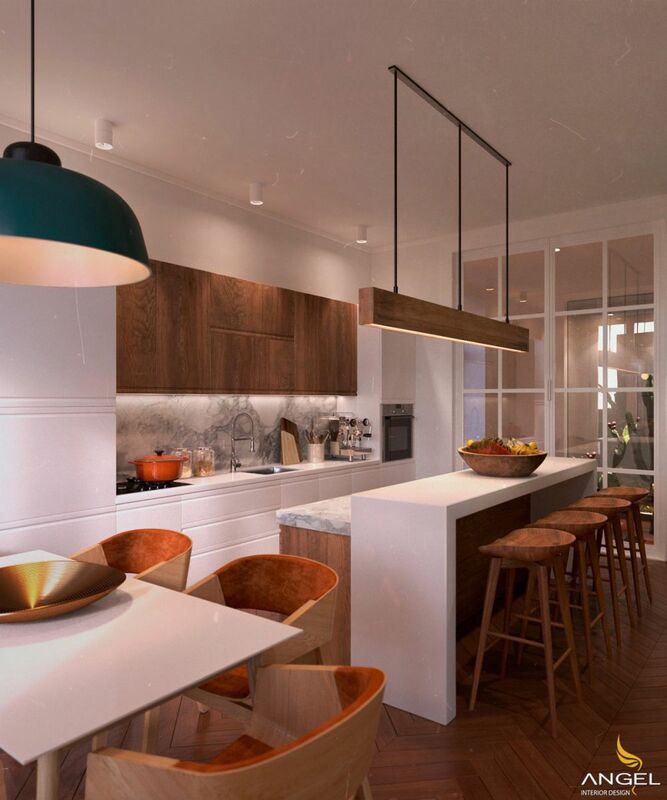 Apartment is a lively blend of modern furniture and natural wood components. This is perfectly presented in the kitchen space. Take the tropical space into the apartment. 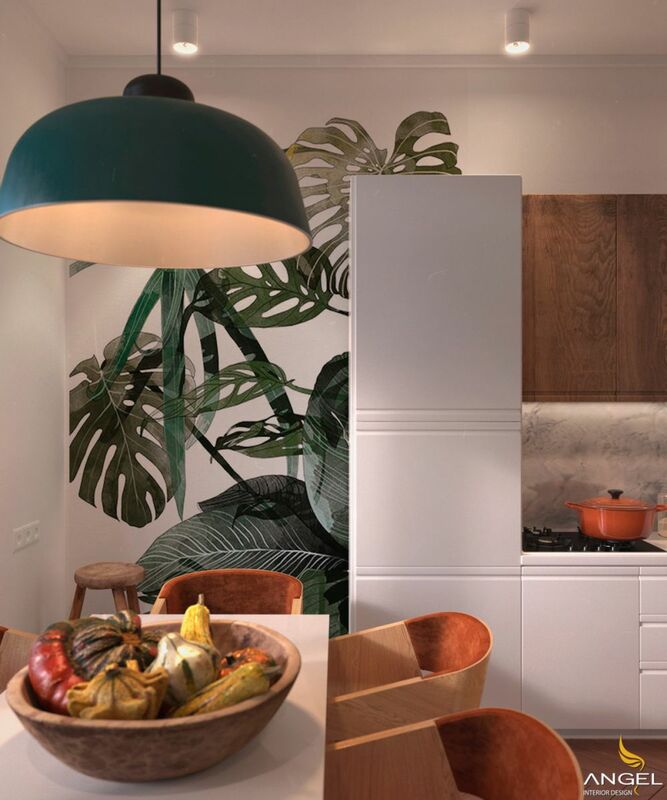 A "tropical zone" occupies most of the kitchen, bringing the forest into a modern apartment. Better plant a tree to get green air at an angle. But this is different from the apartment to have a real scene straight up our kitchen space. This looks a bit cool, but it's really nice. 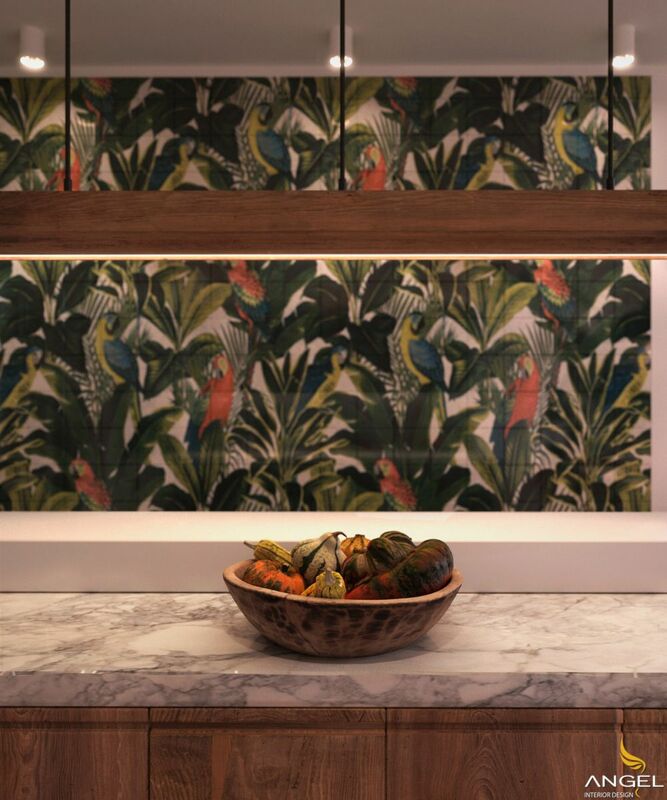 Wooden luminaires stretch far enough to become part of the design. And a white marble décor in the kitchen area. To confirm a subtle level of the whole room. Meaning of a vegetable bowl. Organic themes are continued by color and rich imagery in the kitchen. A bowl of vegetables can be exchanged for fruits or flowers depending on the season. Make it a dynamic center. We can develop many unique meanings of each detail.